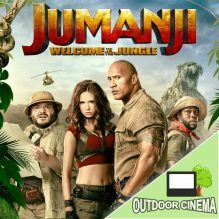 Buy tickets and come to Hockley Woods when we’ll be showing the hilarious new movie Jumanji: Welcome to the Jungle. Hockley Woods will bring the ideal atmosphere and setting for this enjoyable family film. Our live act will be Jess Folley, Jess was the winner of the Voice Kids 2017. She is 15 years old, has a fabulous voice and is a fantastic performer, she must not be missed (See the video below). We will also have our famous Big Screen Karaoke for anyone who wants a go. There are a limited number of tickets available so book them while you can to enjoy with your friends and family. And we have Oscar’s Bar serving you both Soft and Alcoholic drinks from Beer, Wine, Shots through to Frose – Frozen Rose Slush or Slush with a shot! Also sweets, popcorn and nachos & cheese. Gates open at 6:30pm (not before). Live pre-film entertainment from 7:30pm. 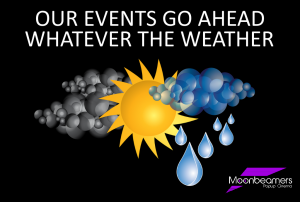 Then enjoy a laugh with some ‘Outdoor Karaoke’ whilst we wait for the sun to finally go down – approximately 9:35pm (this does depend on light conditions). 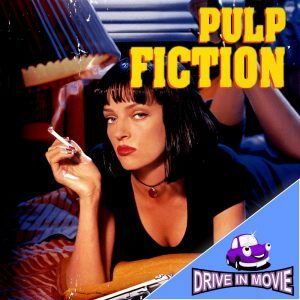 Then settle down to watch the Pulp Fiction on the big screen with HD projectors and BIG sound! By all means walk to us but parking will available and free for the duration of our event in the car park next to the Bull Pub. Entry will be on foot via the gates at the top of the car park. Don’t forget to bring your chair or blanket.